Skilcraft Process Chlorine Free Copier Paper - Letter - 8.50\" x 11\"
Copy paper is made using a 100 percent chlorine-free manufacturing process and does not contain re-bleached paper using chlorine or chlorine compounds that are harmful to the environment and aquatic life. 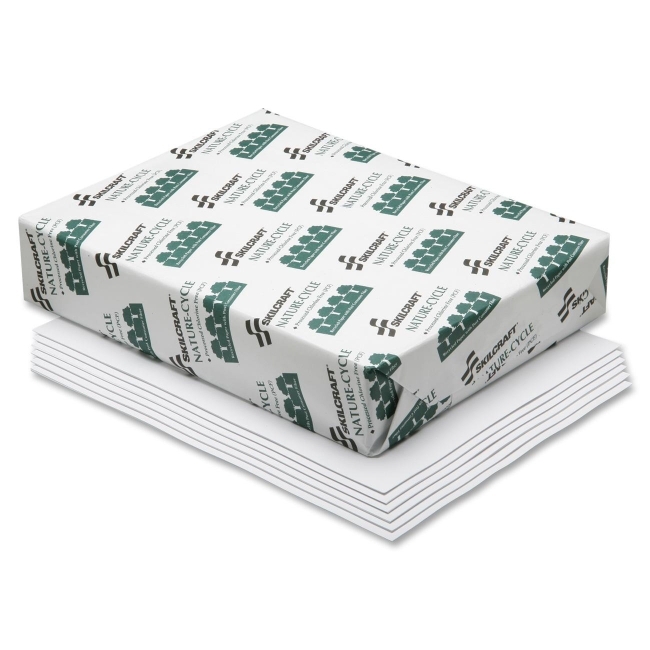 Paper is certified by the Chlorine Free Association. Both paper and packaging are made using 100 percent post-consumer material. Paper has a 20 lb. basis weight making it ideal for daily use in copiers and printers. Copy paper is also acid-free and archival quality. Paper meets Air Force Regulation No. AF 164-117, JCP-065, and Executive Orders 13514 and 13423.